BEAT THE HEAT with this savory eggplant appetizer on the grill. Grilling is life in summer. I try to do everything on the grill. It is way too hot to turn the oven on. The first hot dogs and hamburgers are delicious. By the middle of the summer, people get sick of them. 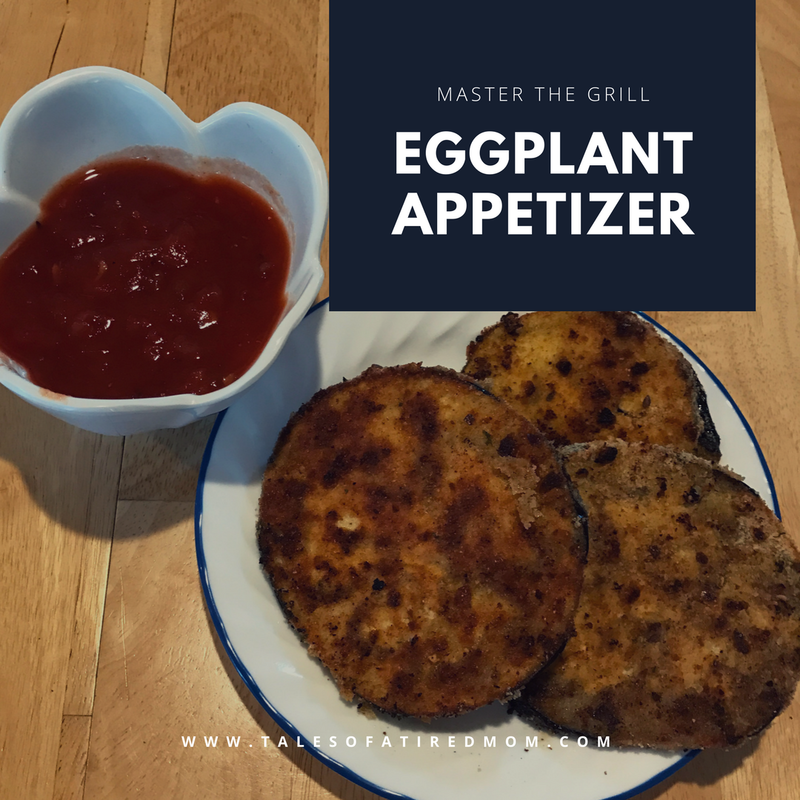 I absolutely love this eggplant appetizer and it takes just 4 ingredients!! Depending on how much you need to make you can modify the amounts. 1. Peel the eggplant. I like to leave a little skin. 3. Dip into egg then cover with bread crumbs. 4. Heat a skillet on the grill with a small amount of oil. 5. Pan fry the eggplant on each side until golden brown.